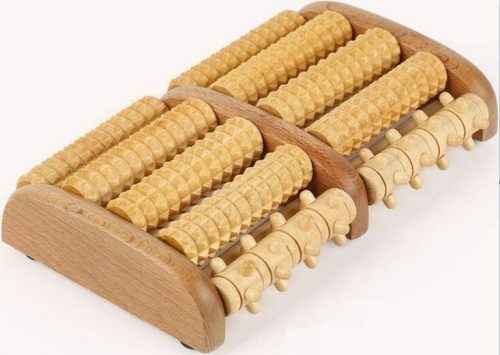 Wooden massage roller.Choose your wooden foot massager right now ! This is really the bestwooden massage roller.With our professional designing,this wooden foot massager can replace people’s hands and give you the same feeling and effects.This wooden foot massager can relieve your body. Ainics wooden massage roller is made on the principles of reflexology and accordingly work in relieving pain from your feet. 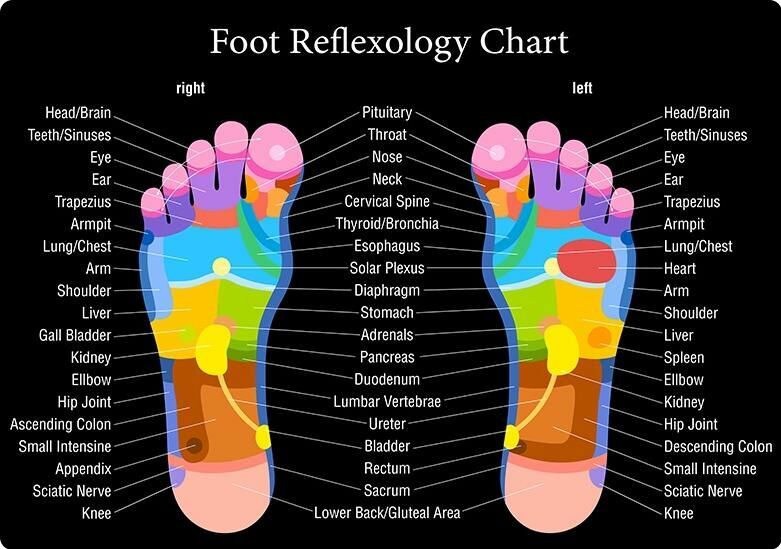 According to Reflexology, there are certain pressure points found in our feet. By using this massager you can activate these different pressure points. This wooden massage roller contains their raised points corresponding to the pressure points on our feet. ✔ENHANCED: New & improved arc suitable even for high arches. 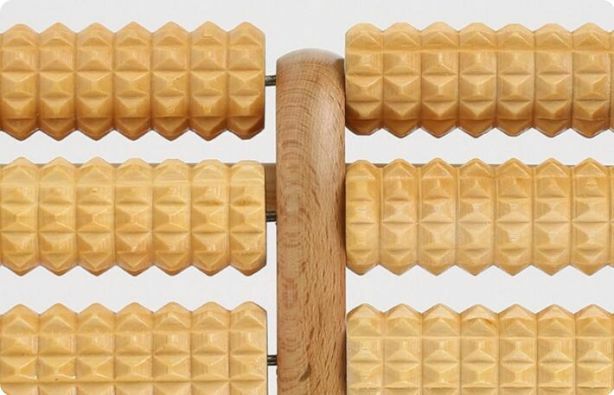 Redesigned roller texture optimized for foot kneading. ✔RELIEVES: Plantar fasciitis, foot arch & heel pain. 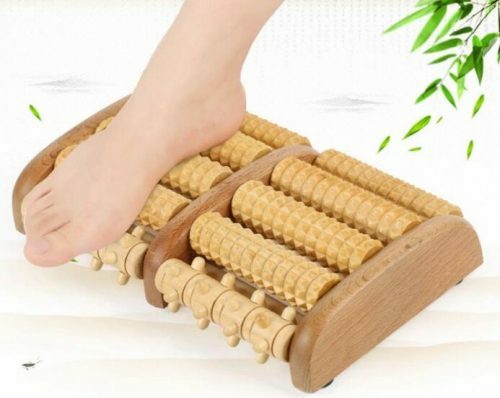 ✔How Exactly our Foot Roller Benefits your Feet? 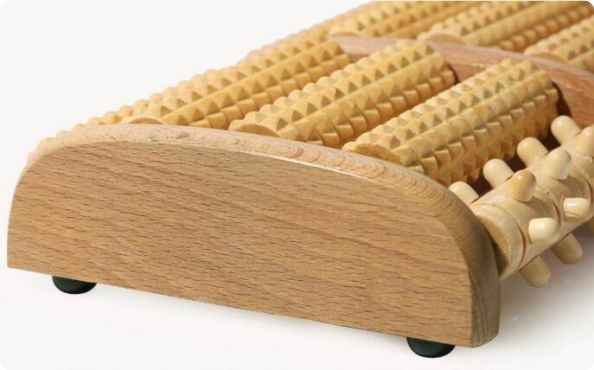 I don’t understand how it does it, but this Wooden foot massager is a miracle. 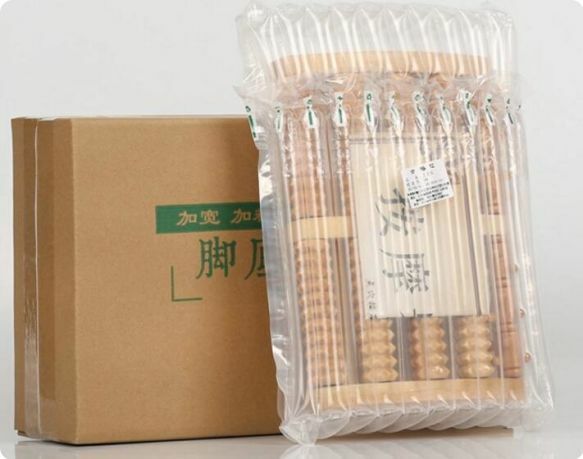 I bought it initially six months ago for a persistent problem my elderly mother was having with pain across the top of her arch that responded to nothing else. When she stopped using it three days later, I was afraid it had failed her. On the contrary – her pain had ceased completely and hasn’t returned. I brought it home for my husband, who had injured the bottom of his foot when he missed a stair. He had been limping for several days, but his pain was gone after two days of using this little gem. I have suffered for years with heel pain the day after walking too far in non-supportive shoes. Since I had this machine back in my own home, I figured I’d give it a try. 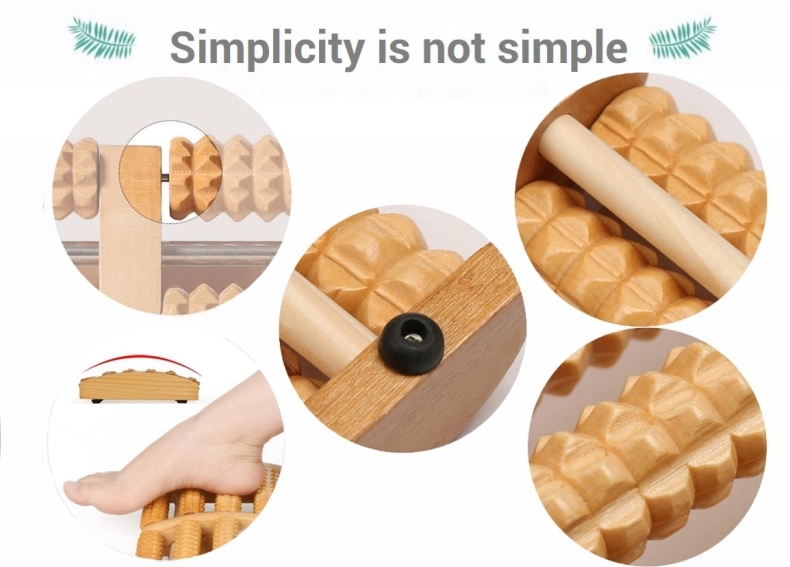 It doesn’t “cure” my issue completely, but when I feel the heel pain and use the roller, the pain does leave until the next time I irritate my feet. 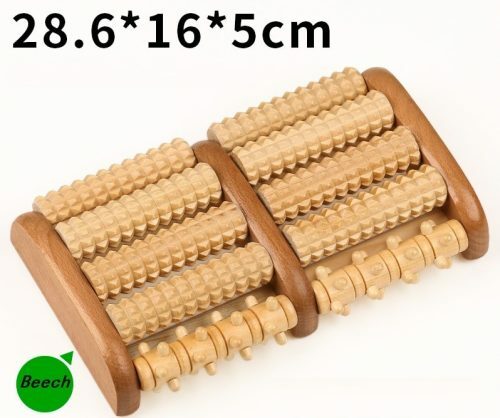 I have also found this Wooden massage roller very useful for those vague bottom-of-the-foot nerve signals that feel vaguely itchy, but which can’t be settled through itching or rubbing. My daughter also finds relief for that same symptom. 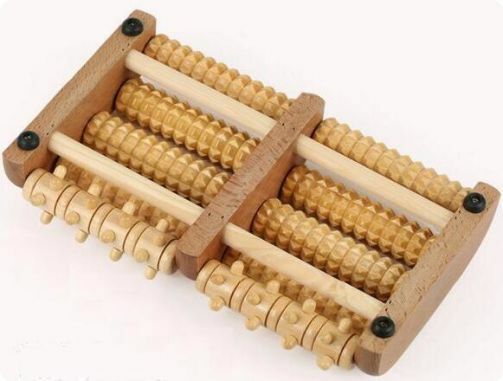 I’ve just purchased two additional rollers – one for my summer house so we don’t have to transport the original back and forth, and one as a gift for my daughter. 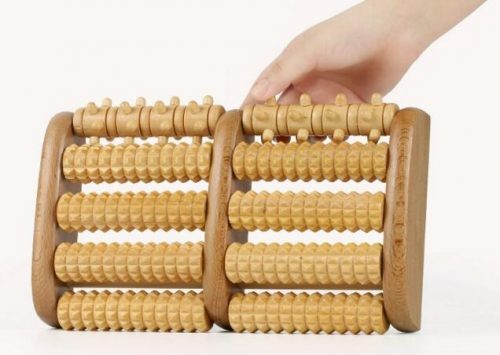 I don’t think I’ve ever before found so much satisfaction from such a simple and inexpensive object. My only (minor) complaint is that the original model has developed a small squeak that sounds like I’m torturing a mouse. I may try oiling the rollers at some point if it begins to bother me more than it does now.